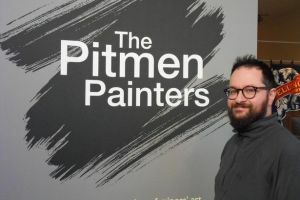 If you have seen Lee Hall’s play The Pitmen Painters, you will be familiar with The Bedlington Terrier, one of the paintings that plays a prominent part in one funny and touching scene. The picture of the little white dog – an example of the native Northumberland breed – is attributed to Jimmy Floyd in the play. But it was actually the work of William Scott, another member of the so-called Ashington Group, those now famous amateur painters who gathered in a hut after work – often shifts at the pit – to paint pictures. Scott was one of the older members of the Ashintgon Group and The Bedlington Terrier, done when he was about 70, is the only known example of his work. You might imagine that such a well-known painting resides at Woodhorn Museum, near Ashington, home of the permanent collection chosen by the pitmen painters themselves to represent their best work. But in fact The Bedlington Terrier has been in private hands since it was bought for £2 at the Laing Art Gallery, Newcastle, before the Second World War. 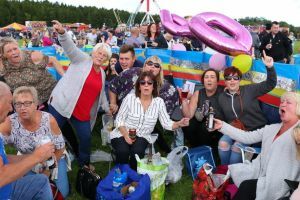 There’s still a few months until it takes place but this year’s Northumberland Live in Bedlington will most definitely have The X Factor thanks to its headline act. Rounding things off on what will hopefully be a sun drenched day of fun on Saturday, July 28 will be Matt Cardle, who triumphed on the famous ITV show in 2010, seeing off Cher Lloyd, One Direction and Rebecca Ferguson in that year’s final. Matt’s first solo single, When We Collide went straight to number 1 on the UK Singles Chart and became the second biggest-selling single of 2010 with 815,000 copies sold within two weeks. By the following June it had sold one million copies. 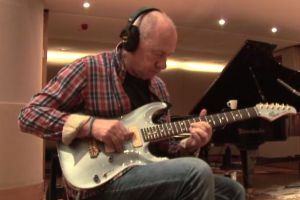 The singer/songwriter is now gearing up to release his fourth album Time To Be Alive which will come out on April 27. This year will be the third that Northumberland Live at Bedlington has taken place. Last year, The Commitments entertained thousands of people at the free spectacle and two years ago, the first concert saw Johnny Hates Jazz headline. Once again, the Northumberland Live Festival looks set to appeal to all ages and members of the family. Also announced on the bill is Midnight Soul Sisters who will perform classics songs by The Supremes, Tina Turner, Amy Winehouse, Chic and Beyonce. Other bands will be announced in due course. The event is being funded by East Bedlington Parish Council with contributions from Ward Councillors funds and personal contributions from Keith Grimes and John Batey. 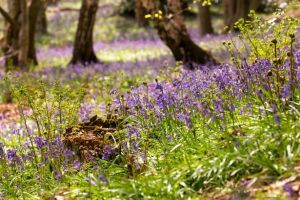 A swathe of brightly coloured bluebells is truly a thing of beauty and here are some of the best places to enjoy them in the North East. Do let us know if there is anywhere we’ve missed and we will add it to the list - just email [email protected] with all the details. The bluebells are usually in flower from mid April until late May. The Woodland Trust said: “This early flowering makes the most of the sunlight that reaches the woodland floor before the full woodland canopy casts its shade. Millions of bulbs may grow closely together in one wood, creating one of nature’s most stunning displays. Half of the world’s population of bluebells are here in the UK. You’ll find them in broadleaved woodland, along hedgerows and in fields.” The Woodland Trust say the hybrid or Spanish bluebell is overtaking the traditional, sweet-scented native plants. Here is how to tell the difference: Native plants are deep violet-blue though a genetic mutation occasionally causes white flowers, the flower stem droops or nods distinctly to one side, almost all flowers are on one side of the stem, hanging down to one side. The flowers are a narrow, straight-sided bell with parallel sides, petal tips curl back and the flowers have a strong, sweet scent. The Spanish bluebells are pale to mid-blue, and often also white or pink. The flower stem is stiff and upright, with flowers sticking out all the way round the stem. Flowers are a wide open, almost cone-shaped bell and the petal tips flare slightly outwards. They have little or no scent at all. A state-of-the-art cancer treatment centre is set to create 50 jobs when it opens in Northumberland this summer. 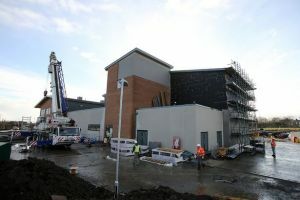 The Rutherford Cancer Centre, in Bedlington, is due to open later this year, creating a large number of jobs in clinical and administrative roles. The centre is one of five being developed by Proton Partners International across the UK, after the company raised £200m to develop the facilities. Part of the funding came from The Journal’s Let’s Grow programme. Chris Land, centre manager at the Rurtherford Cancer Centre, said: “This centre is the result of substantial research and investment into the best way to treat specific types of cancer. We are going to provide proton therapy which has a number of advantages over more traditional treatments like radiotherapy as it targets the cancer specifically without damaging healthy tissue near it. “As well as the healthcare benefits, our £38m North East centre will create up to 50 jobs with both clinical and administrative posts, and the construction project also created jobs for local workers. 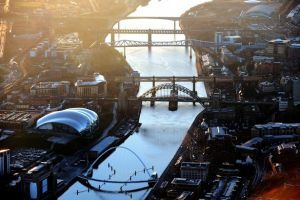 Newcastle has been named and shamed as one of the North East’s most popular areas for having an affair. The city has 19,254 people who are cheating on their partners, claims the website Illicit Encounters. It has compiled the Infidelity Index 2018, which lists the UK’s most adulterous towns and cities. It says 6.52 percent of Newcastle’s population is carrying on behind their partner’s backs. And it’s even worse in Durham where just 5,152 people are having an affair - but it’s more than 8 per-cent of the population. The statistics place Newcastle as the 10th most cheating city in the whole country on the site’s infidelity index. Bedlington darts ace Chris Dobey admits he is full of confidence at the moment after reaching his second ever PDC Pro Tour final at the weekend. The 27-year-old battled through a field of 128 players to reach the Players Championship 5 final, only to run into world No 1 Michael van Gerwen. The two-time world champion was in imperious form, running out a 6-2 victor in Milton Keynes - despite Dobey posting a staggering 109.6 average. ‘Mighty Mike’ raced into a 4-0 lead, firing in a 12-darter and capitalising on six missed darts from Dobey to break twice. Dobey hit bag with a stunning 10-dart leg before breaking throw to reduce the arrears to 4-2. But Van Gerwen produced a moment of brilliance in the seventh leg, landing a 160 checkout with Dobey sitting on tops to move to within a leg of victory before closing out the win in leg eight. Sainsbury’s has committed to paying staff well above both the national living wage and voluntary “real” living wage by raising the basic rate by £1.20 an hour. From September, staff in the North East will get paid at least £9.20 an hour, which means Sainsbury’s employees will have the highest basic pay of supermarket employees. Currently, Aldi is the top payer with a basic rate of £8.85. Hopefully, other supermarkets will soon follow their lead. 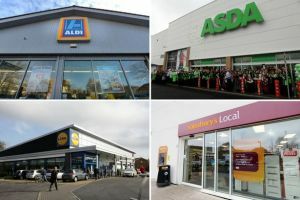 We’ve had a browse of which jobs are on offer at major supermarkets in our region. They include some roles at Sainsbury’s in Northumberland. A second man has been arrested on suspicion of robbing a man who later died after being found unconscious on a Bedlington garage forecourt. 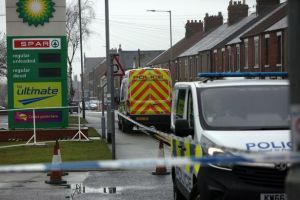 Police and paramedics were called to the Spar garage on Station Road in the Northumberland town at 5.40am on Tuesday, where they found the unconscious man. He was taken to hospital but passed away from his injuries. After his death, police said he may have been robbed just hours before he was discovered on the garage forecourt. 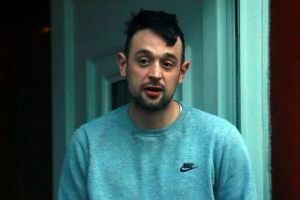 Police stressed that the suspected robbery was not directly linked to the death, having allegedly taken place some time before he was found unconscious. Officers initially arrested a 43-year-old man on suspicion of robbery, and on Friday revealed that a second man had been arrested. 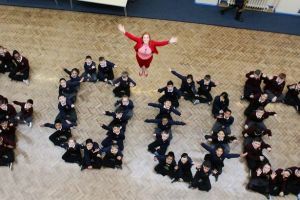 Newcastle pupils' parade, Durham International Women's Day event, Good Ofsted reports & more! The man who died after being found unconscious on a Bedlington garage forecourt may have been robbed before his death, police have said. 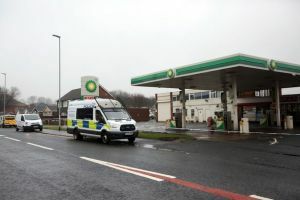 Police and paramedics were called to the Spar garage on Station Road in the Northumberland town at 5.40am on Tuesday where they found the unconscious man. He was taken to hospital but passed away from his injuries. Although police don’t believe anyone else was involved in his death, police suspect that he had been robbed sometime before he was found unconscious. Officers have arrested a 43-year-old man on suspicion of robbery, and he is currently in police custody. 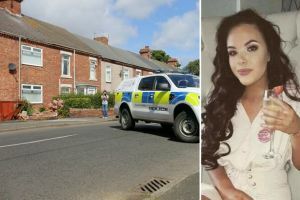 A Northumbria Police spokesman said: “Police investigating the death of a man found unconscious in Bedlington this morning can now confirm that they do not believe there to be any third party involvement. A man has died after being found on the forecourt of a garage in Bedlington . 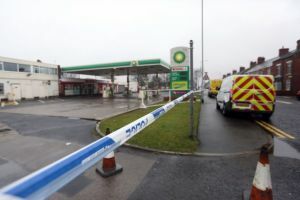 Police and paramedics were called to the Spar garage on Station Road in the Northumberland town at 5.40am on Tuesday. A man who was found there was taken to hospital where he died. Northumbria Police has not confirmed if the man’s death is being treated as suspicious. A police spokesperson said: “Emergency services attended and the man was taken to hospital where he sadly died.” The garage has been cordoned off by police and forensic investigators have also arrived at the scene. it’s cold out there - but benefit bosses said it was not cold enough for some Northumberland residents to qualify for cold weather payments. 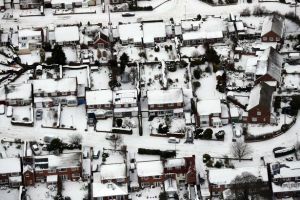 The Department of Work and Pensions had not included six postcodes in the list of areas where the benefit is triggered in the event of very cold conditions. An official website had said people in parts of the county, including Morpeth and Ashington, would not get the £25 payment because it has been too warm. Anyone entering the postcodes on the gov.uk website over the last few days were told they were not entitled to the one-off payment. Areas missed off the list of qualifying postcodes were NE22, NE24, NE61, NE62, NE63 and NE64. The postcodes cover Morpeth, Ashington, Bedlington, Newbiggin and many small villages. Moving tributes have been paid to a top Northumberland badminton player who has died at the age of 85. Lynn Lacey, nee Jordan, represented the county for around 25 years and won a string of tournaments, but also went on to become a good tennis and golf player. Her real name was Lydia. However she became known in the sporting world as Lynn after her name was misspelt on a team sheet when she was a teenager and the wrong name was subsequently used in press reports about her. Lynn, of Bedlington, has now died after a battle against cancer. Her funeral took place on February 13. 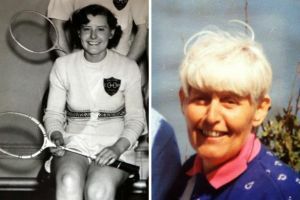 Her husband Tom Lacey has paid tribute to her and spoken of her long and successful sports career. Lydia was born in Walker, Newcastle, and was the youngest of five siblings. Sunday lunch at General Havelock near Bedlington - what does Eddy Eats think of it? If there’s one thing I’ve learned in all my years of Sunday pub roast-guzzling, it’s that a beautiful exterior is no indicator of the quality of grub that lies within. 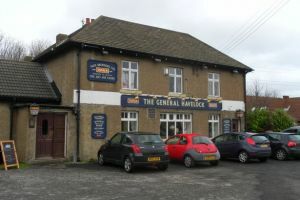 The General Havelock is a boozer that reminded me not to judge too much on appearances; the place might not please the eye, but its Sunday dinners certainly please the stomach. The pub has neither a spectacular location, situated as it is close to the A189 Spine Road near Blyth, nor, it has to be said, a well-kept air, with its peeling paintwork on the windows, rather battered furniture and visible mould in one corner of its restaurant. A slight smoky haze, presumably from the kitchen, pervaded both the pub and restaurant section, and I even discovered the lock in the cubicle in the gents’ toilets wasn’t working. However, if you don’t mind your pubs being a bit rough around the edges, the General Havelock’s food will more than make up for what it lacks in the way of refinement. You’ll have to be happy to launch straight into your roast, as there are no starters served – and no other choice of main course. A standard-size pork, chicken or beef meal is £7, or you can opt for a small one for £6. Choosing lamb adds £1 to the bill. I was unsurprised when Mrs E ordered beef, having noticed that particularly wanton look that she gets in her eyes when she hasn’t had any of the stuff for a while. I, on the other hand, struggled to make a decision, so appreciated being offered the option of a bit of all the meats by our friendly server. Two North East roads have been ranked among the most dangerous in Britain, a new interactive map reveals. Research conducted by Regtransfers.co.uk shows the routes across the country where you are most likely to be involved in an accident. It found the A193, which runs between Newcastle and Bedlington, had an accident rate of 2.53 per 1 million vehicle-miles driven. 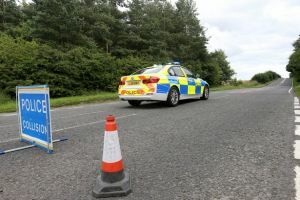 And the A68, which links Northumberland and Edinburgh, made the country’s top 50 accident blackspots with a rate of 2.7. These contrast with the average accident rate of 1.48 for the UK. The data, compiled by the private number plate company, also found 13 of the most dangerous roads in Britain all run through London. A drink driver was caught out when police pulled him over for having a frozen windscreen. Dean Williamson was travelling along Front Street, in Bedlington, on Boxing Day when a passing officer noticed his front window was iced over. 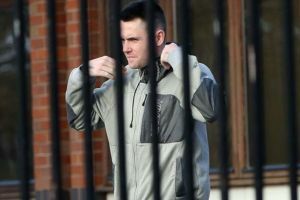 The 28-year-old was initially stopped and told to scrape the windscreen clear but he went on to ignore the warning and carried on driving his Ford Focus, a court heard. The same officer then pulled Williamson over again but noticed he was “swaying and stumbling” when he was ordered to get out of the vehicle. He then failed a roadside breath test and was arrested. Williamson, of Lily Avenue, Bedlington, has now been banned from the roads for three years after he pleaded guilty to drink driving at South East Northumberland Magistrates’ Court. A bungling thief was snared when he left behind his DNA in the McDonald’s restaurant he burgled for just £3-worth of food. 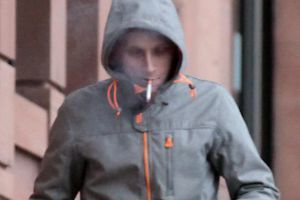 Kane Bircahll smashed a window of the Cowpen Road branch of the fast food giant, in Blyth, and sneaked in during the middle of the night while the premises was closed. The 28-year-old then made-off with £3-worth of food items, South East Northumberland Magistrates’ Court was told. But, not only was hapless Birchall caught in the act on CCTV, he also left behind his own blood and was further identified from his DNA. Now, Birchall, of Burdon Terrace, Bedlington, has been warned he is facing the possibility of time behind bars after pleading guilty to one count of burglary. Adjourning the case for the preparation of a Pre-Sentence Report, District Judge Bernard Begley told him: “This is simply an adjournment so the court can be aware fully of everything about you. Fancy a burger with haggis and whisky sauce? Wetherspoons is launching a special menu to mark Burns Night and it includes a quirky take on the traditional fare. While haggis is always the star of the show when it comes to celebrations of Scotland’s national poet, the pub company has decided to go one better. Burgers tend to be a universal favourite so it has come up with one which will have a uniquely Scottish flavour. Soon North East customers will be able to tuck into a Highland Burger, which contains haggis and comes with a sauce made with that favourite Scottish tipple, whisky. 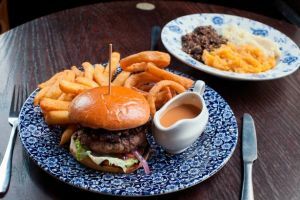 The 6oz burger will be served with chips and six beer-battered onion rings too - and, as an added treat, diners can try a special Robert Burns ale, from Scotland’s oldest working brewery, to go with it. These will be on the menu in Newcastle from Saturday at The Quayside bar and The Mile Castle - as well as in other Wetherspoons pubs around the region - as part of week-long celebrations to mark the life and poetry of the Scottish poet. Despicable thief Michael Daley left a pensioner feeling “violated” after sneaking into her home and stealing from her in a disgraceful abuse of trust. Daley took advantage of the fact he had family members living at the same assisted living complex as the victim. A court heard he let himself into the flat in Bedlington, Northumberland, and stole £200 from her handbag to pay off drug debts. The victim, who lives with her husband, was left feeling vulnerable and insecure and has since installed a security camera for peace of mind. Now Daley, 22, who admitted burglary, has been given a suspended prison sentence at Newcastle Crown Court. 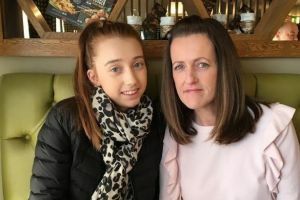 Recorder Jonathan Sandiford told him: “This was a sneak-in burglary at a home that, as you well knew, was assisted living for older people, designed to allow them to live independently as far as possible and to give them a degree of security. We challenged Northumbria University fashion students to capture the most stylish trend-setters on the streets of Newcastle. They were tasked with picking a fashionable style to focus on. Fashion communication student Emily Wilkinson decided to photograph people wearing scarves from designer to vintage in the city centre. Emily said: “I wanted to focus on how people use accessories to dress up an outfit - visual style combined with functionality and comfort.” Administrator Rebecca Cowan 18, of Whitley Bay , wore a scarf from Burberry, jacket from Missguided, a dress from Sainsbury’s and shoes from New Look . Emily said: “Rebecca used her scarf to dress up her colour-block outfit.” Student Caitlin Waddle, 19, of Bedlington , wore a scarf from ASOS , jacket from Topshop and leggings from Adidas. Blyth beach bike ride, Christmas songs for elderly, students cook up American feast, and more! Below is a list of this week's school news from Newcastle and the North East - written by you. To get your school event or story included, simply fill out the form below, which is also at www.chroniclelive.co.uk/schoolnews Students created their own American-style diner serving up burgers and cheesecake amongst a three-course gastronomic delight for family and friends as part of their GCSE studies. 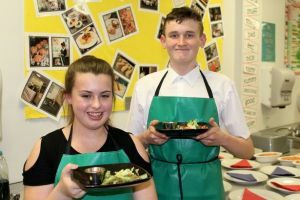 The 16 hospitality students at Academy 360 in Sunderland planned the menu, prepared and cooked all the food, served guests and even designed the table decorations with Hollywood star-themed place mats, under the guidance of food technology teacher Jo Tissington. Their tasty US-influenced menu whetted diners’ appetites with starters, mains and puddings including chicken goujons, burgers, chilli con carne, cheesecake and coffee. Doubts and assumptions were put to one side as friendships were formed between the generations at an inspiring project held in Lanchester, County Durham . Karbon Homes’ Ageless Project brings together young and old people to increase understanding between the generations.